Fleas are 1/16" to 1/8" long, usually reddish-brown and have tube-like mouth-parts adapted to feeding on the blood of their hosts. Fleas can jump horizontally up to 13 inches. The flea body is hard, polished, and covered with many hairs and short spines directed backward, which assist its movements on the host. The tough body is able to withstand great pressure, likely an adaptation to survive attempts to eliminate them by mashing or scratching. The flea life cycle begins when the female lays eggs after feeding. Fleas can lay up to 50 eggs a day, usually on the host itself, which means that the eggs can easily roll onto the ground. Because of this, areas where the host rests and sleeps become one of the primary habitats of eggs and developing fleas. 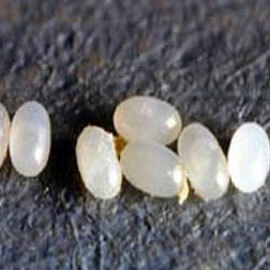 The eggs take around two days to two weeks to hatch. Flea eggs are impervious to pesticides and treatments against them. A normal flea population consists of 50% eggs, 35% larvae, 10% pupae and 5% adults. 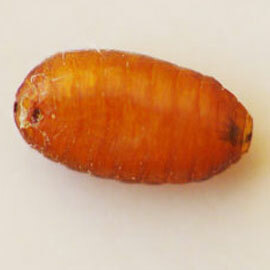 Larvae are blind, avoid light, pass through three larval stages and take a week to several months to develop. Fleas mature to adulthood within a silken cocoon woven by the larva to which pet hair, carpet fiber, dust, grass cuttings, and other debris adheres. 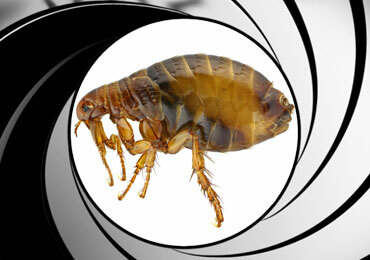 In about five to fourteen days, adult fleas emerge or may remain dormant in the cocoon until the detection of movement, pressure, heat, noise, or carbon dioxide. 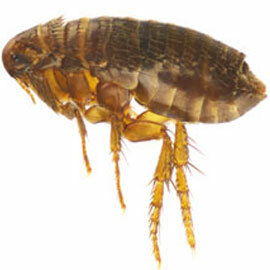 Fleas can remain dormant for up to nine months! Using only low toxicity pesticides, our License To Kill technicians are skilled at eradicating fleas. Our treatment effectively and immediately kills adult fleas and provides a lasting residual protection which continues to eliminate emerging fleas. We also add a chemical known as an "insect growth regulator" to stop the active fleas from becoming sexually mature, eliminating their ability to breed and create more fleas. Our flea treatment will include all carpeting, throw rugs and pet areas. In rooms with hardwood or tile floors, our technician will treat baseboards, cracks and crevices for fleas. License-To-Kill’s service technician will inspect and treat the outside of your home, paying close attention to pet areas like beds and kennels. The service technician will also concentrate on grass areas as well as high traffic areas of the property. We provide monthly comprehensive, low toxicity residential pest control protection plans, which eliminates fleas reassuring peace of mind. We specialize in flea pest control and have extensive experience eliminating fleas in historical structures, commercial properties and apartment complexes. 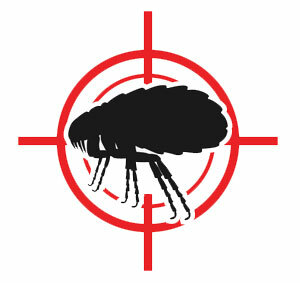 At License-To-Kill, we understand pesticide sensitivity. If you’re allergic to pesticides, concerned about your pregnancy or are concerned with your pets or children, we care and are prepared to work with you. Please call us for flea control today. Fleas can lay up to 50 eggs a day. The eggs take between two days to two weeks to hatch. Flea eggs are impervious to pesticides treatments. Larvae are blind and avoid light. 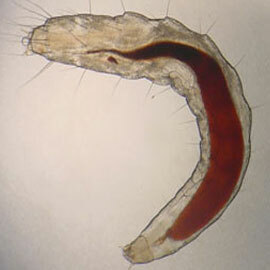 Flea larva pass through three stages and take between a week to several months to develop. Fleas mature to adulthood inside a silk cocoon. Between five and fourteen days later, adult fleas emerge to feed. Fleas may remain dormant within cocoons until the detection of movement, pressure, heat, noise, or carbon dioxide. Adult fleas emerge from cocoons hungry and ready to lay eggs, repeating the cycle. Best pest control company in San Diego. They are a must use!!! Perfect! Couldn't ask for more. Very professional and the price was right and the best part - no more pests! Get Rid Of Your Fleas Today!